If you're looking to sell your house or just hedging your bets for later, certain changes will boost your home’s value. Have your foundation, pipes and electrical wiring inspected by a professional to ensure none of the big-ticket items are damaged. Step back and look at your home with the unbiased eye of a buyer. A fresh coat of paint throughout your home goes a long way to increase the value of your home. Paint makes the walls look fresh, clean and updated, which draws in more buyers. Gravitate toward neutral colors, however, to appeal to more people. You may love bold, bright colors, but that’s a huge turnoff for others. Refresh old cabinets with paint, as well, keeping the style simple. Old appliances drop the value of your home tremendously. Buyers look for updated appliances for aesthetic value as well as for the good of their energy bill. Old water heaters, washers, dryers, dishwashers, refrigerators, air conditioners, heaters, stoves and ovens soak up electricity. And buyers will consider how much their electric bill will be if they buy your home. Though replacing these items can get pricey, this will dramatically boost the value of your home, especially if you opt for appliances with the Energy Star label. Buyers love low energy bills. Kitchens and bathrooms are the top magnets in any home. Granite or marble countertops, tile backsplashes and eco-friendly flooring can go a long way to draw in buyers, thus boosting your home’s value. Replace old faucets and shower heads with sleek new ones. 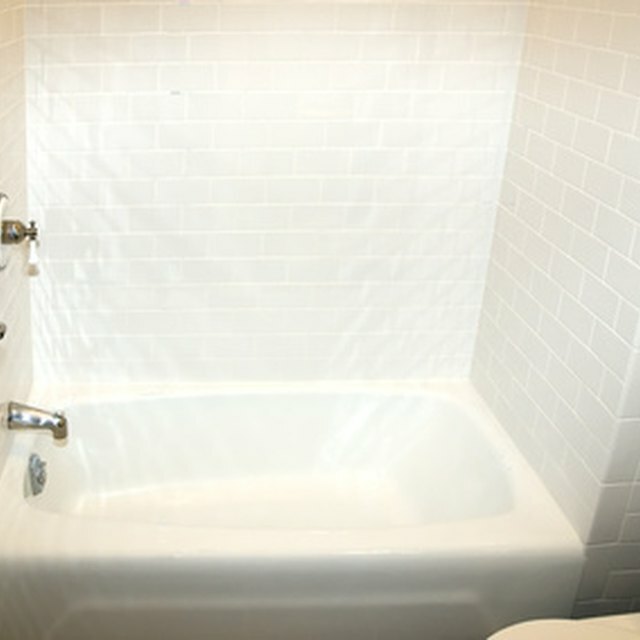 If your tub, toilet and sink are outdated, you may need to replace them, too. Since replacing them can get costly, look into fixture paint for what you can’t replace. Once you have updated and painted your kitchen and bathrooms, make sure you thoroughly clean every surface. If you don’t like the big tree in your front yard that blocks your view of the road, chance are that buyers won’t either. Giving your home curb appeal will increase the value of your home. Take into consideration your neighbors’ landscaping, making sure your landscaping blends with the neighborhood. Strategically placed trees, shrubs, flowers and rocks can boost your home’s value. If your home has a privacy issue, a fence or a line of shrubs can fix the problem, easing buyers’ worries. Hire a landscape designer if you need some help making your landscape pop. Stage you home for buyers so they can see the practicality of your home. Cut out all the clutter and unnecessary furniture. Use only furniture that fits the room. If the bedrooms are small, don’t use king- or queen-size beds. Push back the drapes to let in the maximum amount of natural light. Lamps and overhead lighting brightens the space as well, boosting appeal. Make every space have a purpose that is identifiable from the doorway. Organize your closets and cabinetry. Staging your home to emphasize the advantages of each space will boost the amount of money buyers are willing to pay for your home.